Poet and prose writer, awarded the State Prize for Literature and the Magnesia Litera Award. He was born on 30 May 1942 in Zlín, which also features in many of his works. 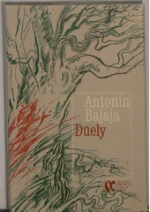 Antonín Bajaja’s books have been translated into several languages, including English, Russian, Hungarian, Bulgarian and Slovene. [Growing Wild] is a work of magic realism, in which reality and myth fade one into the other in a world of giddy depths. Told in a language of great purity, besides secrets and passion Bajaja's novel contains a liberating humour which is often invoked by the absurdity of exaggeration. An extraordinary work! He began writing in the 1960s while he was studying at the University of Agriculture in Brno and he even sent his writings to Ludvík Kundera for his opinion. 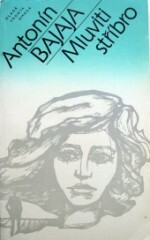 For many years he wrote without hope of being published and debuted in 1982 with his novel Mluviti stříbro (Speaking in Silver), in which he portrays a picture of communist collectivisation in a Wallachian village in the 1970s. Although he comes from a highly regarded Zlín medical family, as a livestock specialist he worked in the country, which provided him with inspiration for his first novel. However, before then he had been writing to his sister Jana and these letters became a kind of therapeutic diary while he was studying at university, when he had to work for a year at the Židlichovice farm for diseased cows and horses. 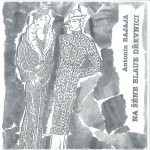 These provided the basis for a short piece of prose, published by Krabice, and entitled Na šéne blaue Dřevnici: taneční promenáda (On the Shoone Blaue Dřevnice: A Dance Promenade, 1996) and then the award-winning novel Na krásné modré Dřevnici (Burying the Season, 2009). 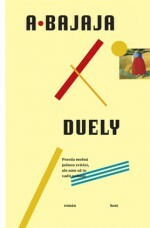 Country and rural themes are developed in the following diptych Duely (Duels), two novels with a shared place, time and characters. The book was published in 1988. After the revolution Bajaja left agriculture and became editor of Brno Czech Radio, a writer of feuilletons and a contributor to literary journals and other publications. Since the mid-1990s he has also been involved in the Radio Free Europe programme Voices and Echoes from Home, for which he received the Křepelek Prize for journalism. However, he continues to derive inspiration from the Bohemian and Moravian countryside. In the novel Zvlčení (Growing Wild, 2003, Petrov), he again delves between two parallel story lines which describe the fate of a pack of Carpathian wolves and the life of the family of a deceased gamekeeper from a Beskydy mountain cabin. 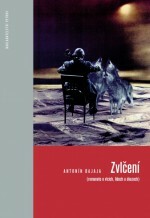 The book’s subtitle Romaneto o vlcích, lidech a úkazech (A Mystery Novel about Wolves, People and Phenomena) indicates the gentle balladic tone of a family fresco which mixes odd (human) and even (wolf) chapters. At the end both pack/family come face to face in a tragic finale. The word “phenomena” in the subtitle then refers to the possible bond of people and wolves, cities and villages, nature and civilization, the mysterious and the rational: “Ah-ooh, replied the she-wolf, and although looking eye to eye is the highest, most courageous form of communication (provoking predators to attack), both crossed this gulf and embraced one another. They became dizzy, ah-ooh…!” The author was awarded the Magnesia Litera prize in 2004 for Growing Wild. 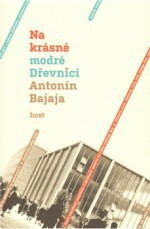 Over the next six years Bajaja worked on the epistolary novel Na krásné modré Dřevnici (Burying the Season, Host, 2009). The Dřevnice is a tributary of the Morava river which flows through Zlín, in other words, it is the river of Bajaja’s childhood. His first memories from the end of the 1940s are found in his description of growing up, where Bajaja is able to remember with humour and distance, but never with anger or pathos, the injustice of communism towards the intellectuals within a small town. The chapters which begin with ‘Dear Jeanne’ diverge into old memories which trace the place (or town) and time much more than specific stories about specific families, even though on one level this is what they are about. In an interview with the magazine Host, Bajaja compared his prose to Roberto Rossellini’s film Rome, Open City, where the main character is in fact the capital city itself. At the same time, in Na krásné modré Dřevnici lies a place which foreshadowed all of Bajaja’s works: as small and rural as it is, thanks to Antonín Baťa there exploded the ferment of production and the construction of a modern, functionalist town, which in its way was the opposite of the rural world. How much of Bajaja’s prose is autobiographical is debatable, as many of the characters and places have been fictionalised due to the author’s relationship towards them and his desire not to offend with overly literal accounts of events. 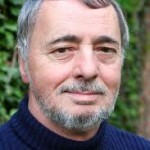 The author reflects on his own surname, which comes from the verb bájat, meaning to tell stories to further illustrate real events. Antonín Bajaja was awarded the State Prize for Literature for Na krásné modré Dřevnici.